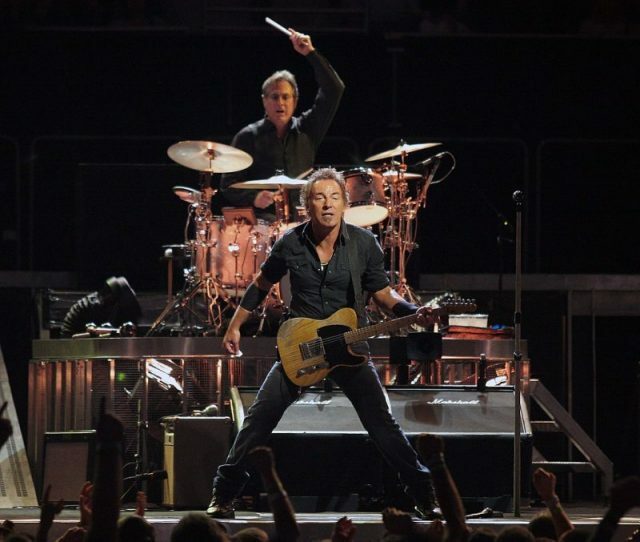 When Bruce Springsteen published his autobiography Born to Run in 2016, a flood of intimacy was revealed. Always portraying the role of a tough guy and the voice of the American working class, “The Boss” chose to dedicate a significant part of the story of his life to the women who took part in it. 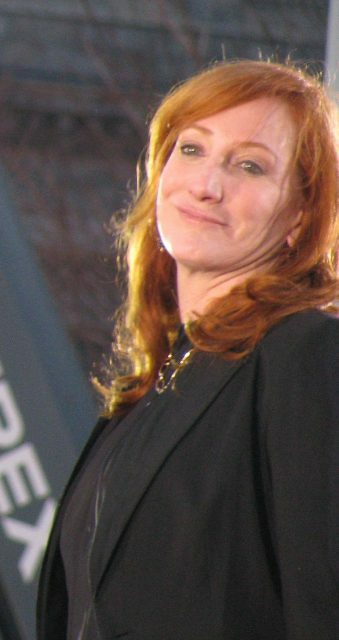 So it is no wonder that the story of Springsteen’s divorce from the actress Julianne Phillips and subsequent marriage to his bandmate Patti Scialfa attracted much attention, as it was the first time that the singer revealed such intimate details about his personal life. 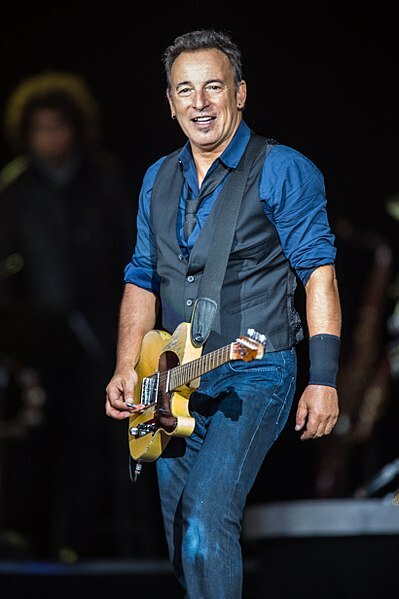 Best known for his staggering, lengthy performances and lyrics often discovering joy in the drudgery of daily life, Springsteen has been hailed as one of rock ‘n’ roll’s legends, selling 135 million records worldwide. But judging from the book, it was easier for him to earn international fame than to find real love. 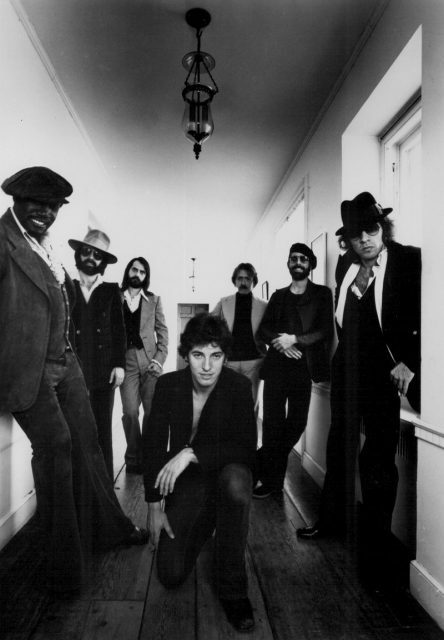 Springsteen and the E Street Band, 1977. In 1985 Springsteen married model and actress Julianne Phillips. Although the couple appeared infatuated with each other, The Boss describes their first meeting in a rather cold tone. After the wedding, he experienced a number of anxiety attacks, as he apparently wasn’t ready for such a commitment. Also, Springsteen describes how prior to marrying Phillips he had ended his every relationship after two or three years ― not exactly the “death do us part” kind of guy. Revealing that the marriage lacked emotion, Springsteen also portrays in the book a little-known chapter of his life ― his childhood. Growing up in Freehold, N.J. with an abusive alcoholic father, the would-be rockstar experienced a lot of rage in his early life. This rage, as he put it, influenced and formed him,. However, it later turned him into an emotional rollercoaster by which the singer was unable to accept the love he was given by his female partners. 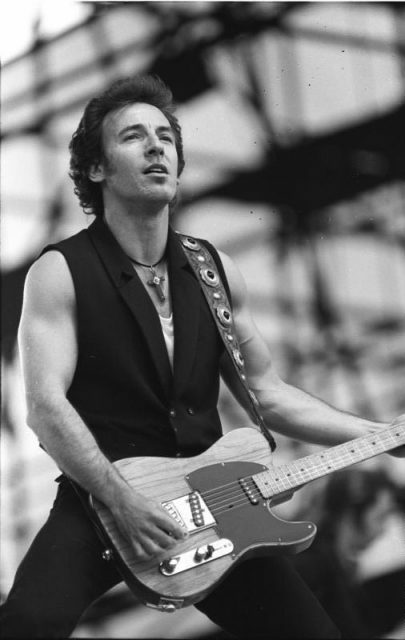 He regrets that it was Phillips who suffered the most from his vulnerability, but when the marriage finally ended, Springsteen had a chance to start over, this time with a person who he deemed much closer to him in terms of mutual understanding. 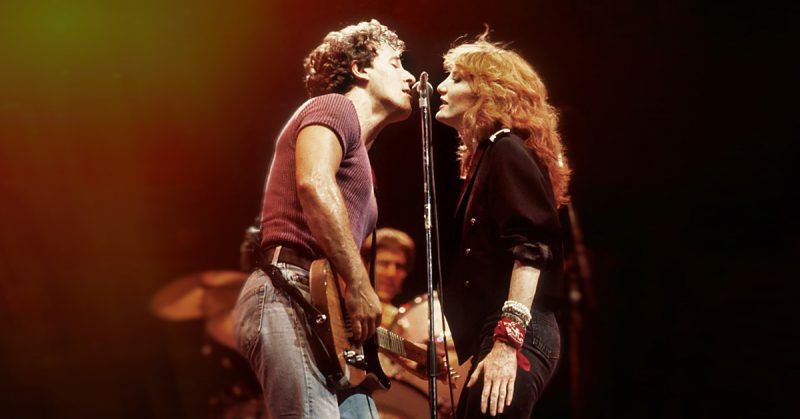 Bruce Springsteen and Patti Sciafla at Wembley Stadium, London, 1988. 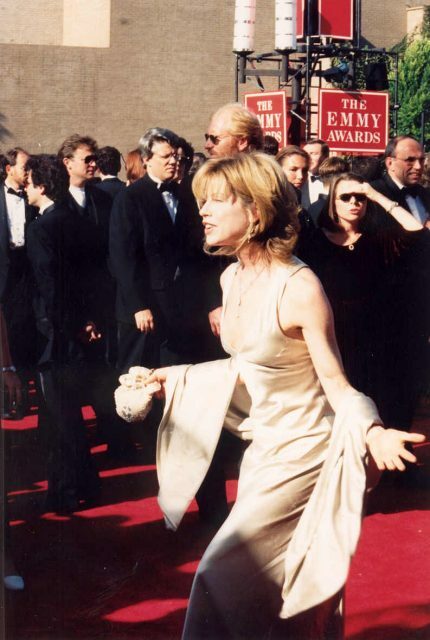 The marriage started falling apart, all-but formally ending in 1987 when Springsteen abandoned Julianne and moved in with Scialfa. Phillips and Springsteen would finally divorce in 1989. The musician couple remained out of wedlock for some time, performing and traveling together on tours. After the birth of their first son, Evan James Springsteen, in 1990, they decided to make their relationship official. Even though Springsteen opened up about his troubled relationships, he goes to show his more gentle side ― one that he had been hiding for all those years. So, Springsteen’s fans can now find out the stories behind some of his iconic songs and the women who inspired him. For example, the song Rosalita is actually the story of the first woman who shared her intimacy with the singer. Springsteen also touches on gritty Jersey Shore tales of success and hardships. He mentions a surfer girl he fell madly in love with at the very beginning of his career, only to realize that she was using him to get to other rock stars at the time. 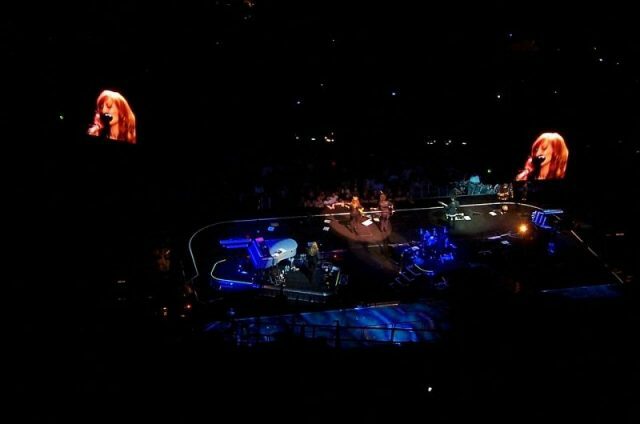 But it all comes back to Scialfa ― Springsteen notes that their heated relationship wasn’t without fighting, but also that it only confirmed the passion the two have for each other. However, even though the hitmaker opens up rather gladly on issues that the press was eager to hear, he doesn’t mention a more recent incident in his book ― one regarding an alleged love affair with a New Jersey housewife, Ann Kelly, in the period between 2006 and 2009. Nevertheless, the book has since garnered popular reviews as it offers an insight into the emotional life of one of rock ‘n’ roll’s greatest lyricists of all time. According to Neil Spencer of the Guardian, it is Springsteen’s narrative voice that makes the book so insightful, adding to the sincere outlook on the life of a legend.